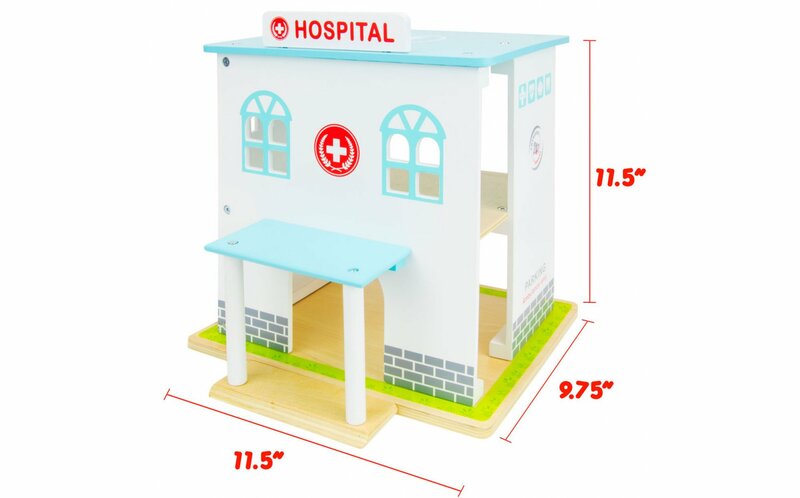 Hospital measures 11.5" x 9.75" x 11.5"
This hospital play set will be used daily for play therapy. 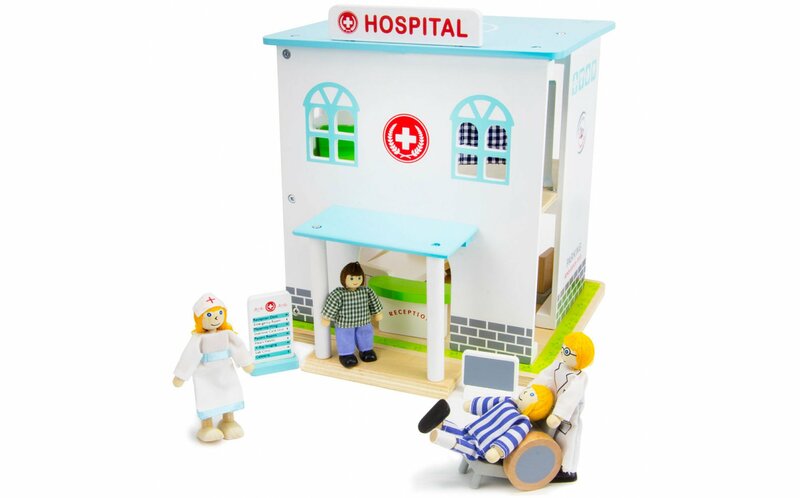 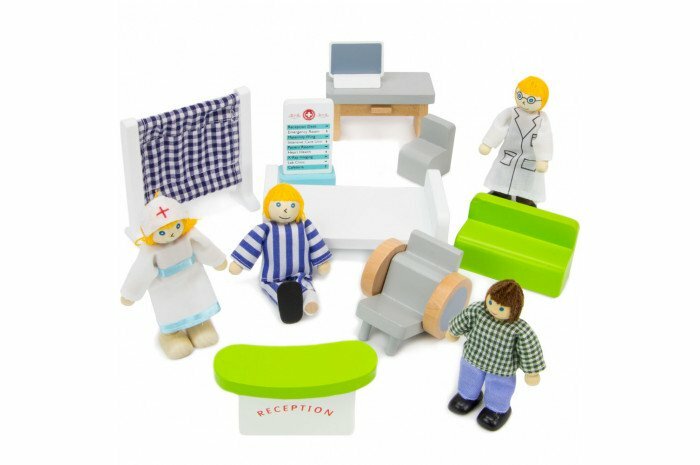 Set includes a portable wood hospital, dolls, and hospital furniture. 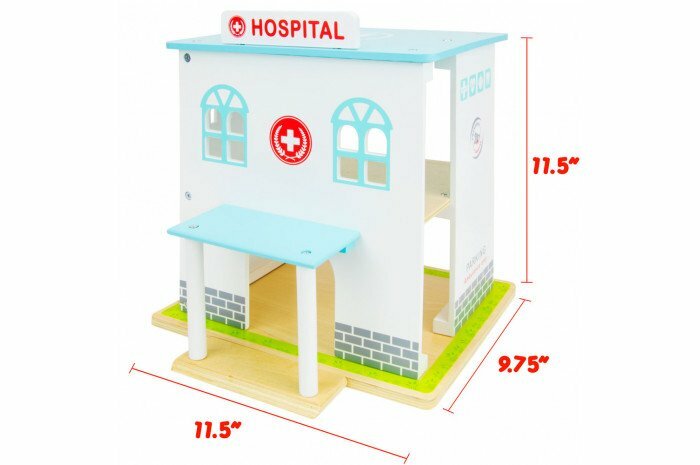 Even a wooden wheelchair is included. 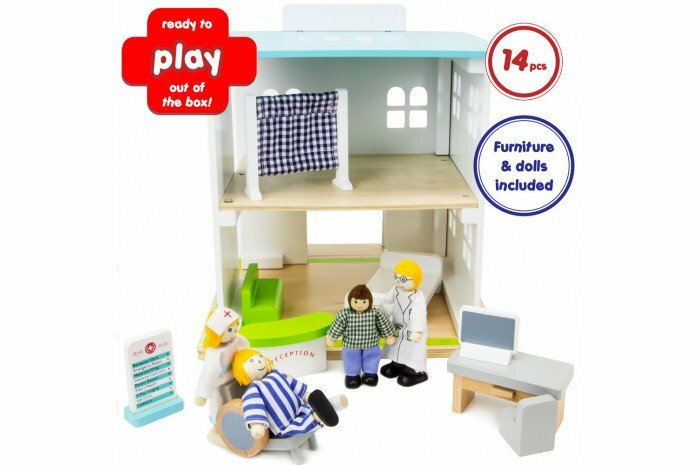 Mix and match with dollhouse dolls. 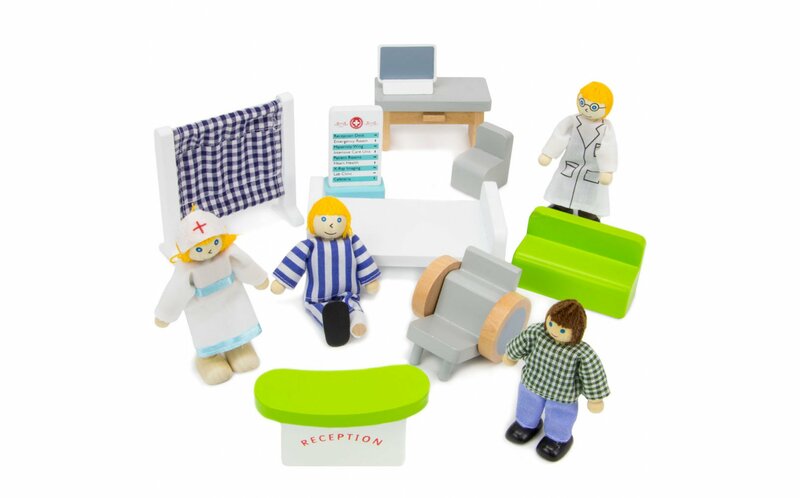 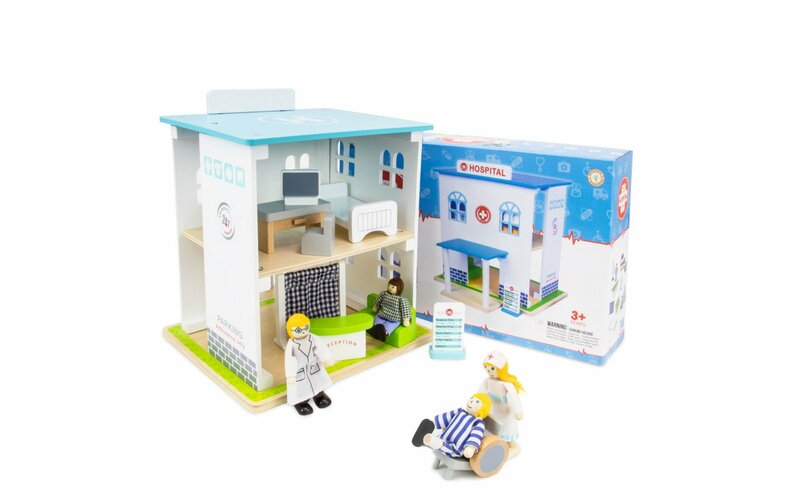 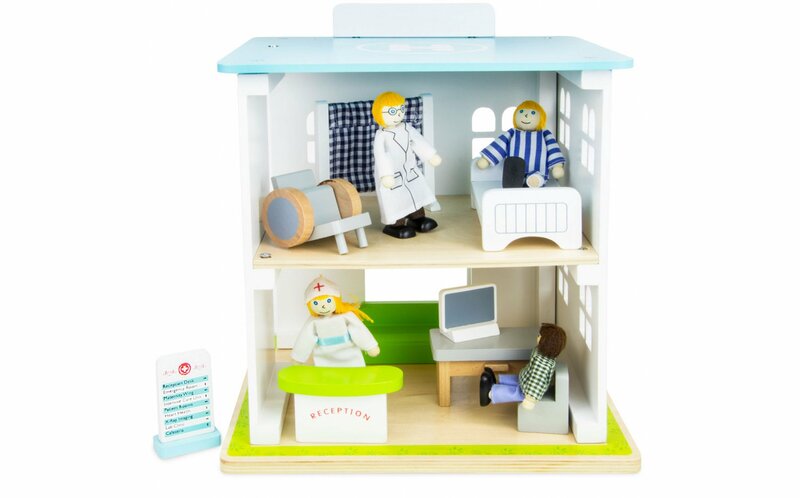 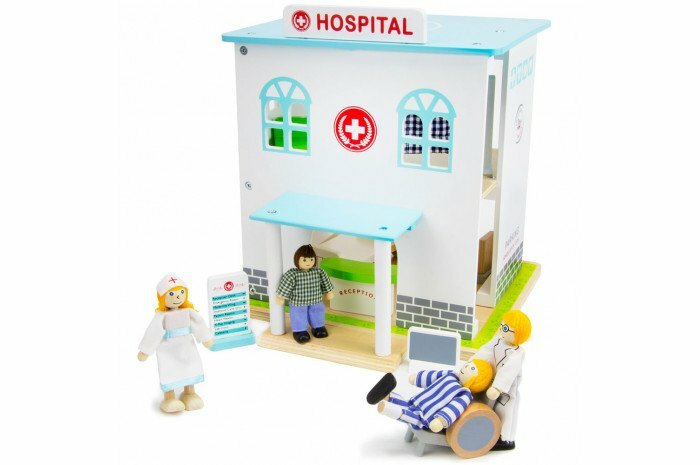 Set includes doctor, nurse, two patients, hospital bed, reception desk, and more.